Brett Schlesinger is one of the owners of Drum Cafe. He has been a drum circle facilitator for 14 years and has been drumming for 35 years. His work has taken him across all aspects of drumming from performance drumming to music therapy and finally to interactive sessions for business. 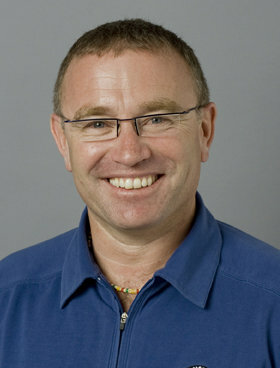 Having facilitated over 2000 events in 30 countries, he brings a wealth of experience in group energy to Drum Cafe. Dr. Vinod Hasal has won several awards in India like the Menaka Trophy for the best dancer of Maharashtra, First Place in Classical Kathak at the Inter-Collegiate Competition conducted by the University of Bombay as part of 22nd Annual Youth Festival ,First Place in Mood Indigo 1989 an annual youth cultural festival of IIT Bombay,First Place in Malhar 1986 an Inter-Collegiate Youth Cultural Festival and many many more in India before leaving for South Africa in 1991. 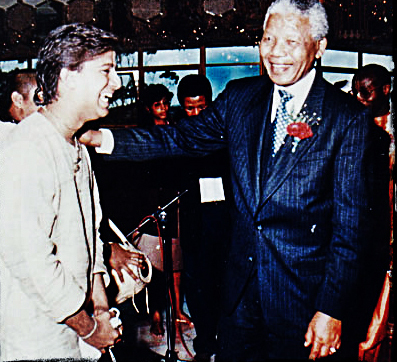 Dr. Vinod Hasal has performed for former presidents of South Africa, Mr Nelson Mandela, Mr. Thabo Mbeki and the current President Mr. Zuma several times. Dr. Vinod won the prestigious, “Hind-Ratna” award from the President of India. Mr Abdul Kalam Azad in the year “2002”. Dr. Hasal himself and his family have been involved in performing for the last nine generations, teaching and propagating Indian Classical Kathak dancing world-wide. Dr. Vinod and Aliya Hasal run Drum Cafe India, with 5000 drums and counting. Drum Cafe in India is the biggest drumming company in Asia. Warren started the Drum Cafe from his home in 1997. During the past few years, the Drum Cafe has performed at the corporate functions of nearly every major company in South Africa. This work has instigated a shift in business practice from that which is centred on the individual to that which is centered on the group community. Dale has brought Drum Cafe programming to more than 1,000 companies and over a million attendees – from corporate boardrooms to kindergarten classrooms to faith-based audiences and everyone in between. Still an avid traveler, his passport(s) shows that he has been to over 150 cities in 49 countries…and counting! Born in South Africa emigrated to Canada in 1979. Danny spent 10 years primarily in the ski industry specializing in athlete development coaching ski teams in Whistler and around BC. After which he ran several successful businesses including a Nando’s and 50 impotence clinics. 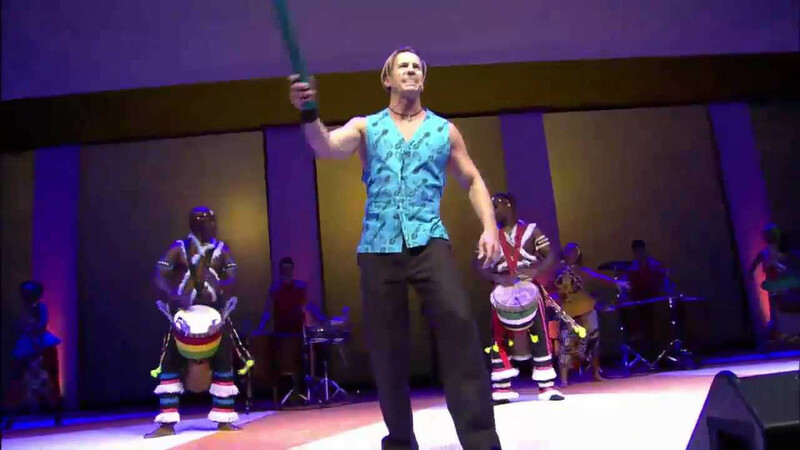 In 2001, Danny moved back to South Africa, where he marketed the Drum Cafe theater production – “Drumstruck” to the international market, before turning the very successful Drum Cafe organization into an international franchise. Danny now heads Drum Cafe Canada as well as the North American expansion of the Drum Cafe franchise and heads up the Pacific Northwest. 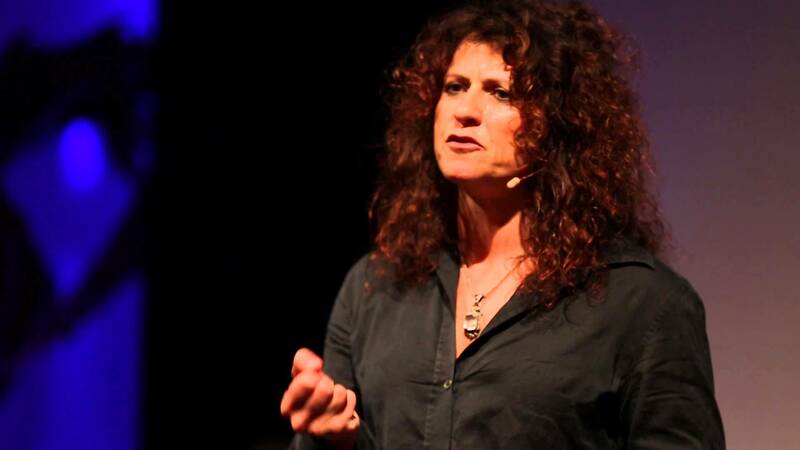 Natalie has personally facilitated interactive drumming programs for more than 30,000 people. Her clients have been from every sector – high-tech, health, government, transportation, hospitality, education, finance, media, and telecommunications. She has close ties with some of the most powerful brands in the world including Google, Virgin Airlines, Microsoft, Intel and eBay. She is a certified life-coach and is developing workshops that tie her interactive keynote programs into one-to-one learning opportunities. Alain began performing with the Drum Cafe on a part time basis in 1999; in 2001 he joined the Drum Cafe to perform full-time. Since that time Alain has performed and facilitated hundreds of corporate motivational & speaking events in the USA and internationally. 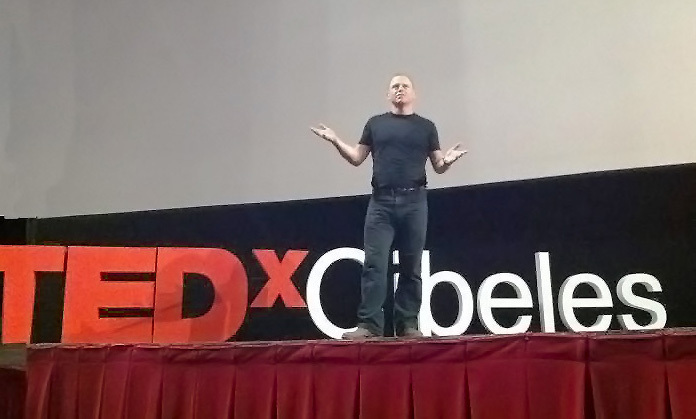 Larry Lok is a leading communication professional with 15 years of management experience. Larry Lok has facilitated for the world’s 3 largest companies: Apple, Exxcon Mobil and Microsoft. As a Director for Drum Cafe Asia, his expertise covers Teambuildings, Conferences, Learning & Development, Event Management, Goal Setting and Branding. He has extensive international experience, having worked with leading clients in Singapore, Hong Kong, China Taiwan, Malaysia, Thailand, and Korea. He is a Facilitation Director and trainer for Drum Cafe, one of the world’s leaders in interactive Teambuilding & Training with over 18 offices globally. Percussionist for Okanagan Symphony, the Burnaby Symphony and the Vancouver Island Symphony. Chris has been an accompanist for Sudbury based,”Earthdancers”a youth-directed contemporary/modern dance company, which in turn led him to compose percussion music in collaboration with dancers from Toronto Dance Theatre. 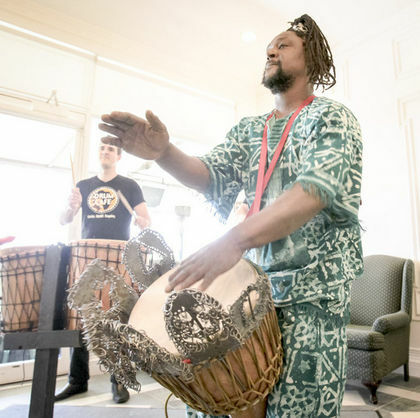 In Vancouver, Chris has become an integral part of Vancouver’s African drum community where he has performed with Fana Soro’s “Masabo Culture Company” and plays the djembe solo in Fana’s African dance classes. 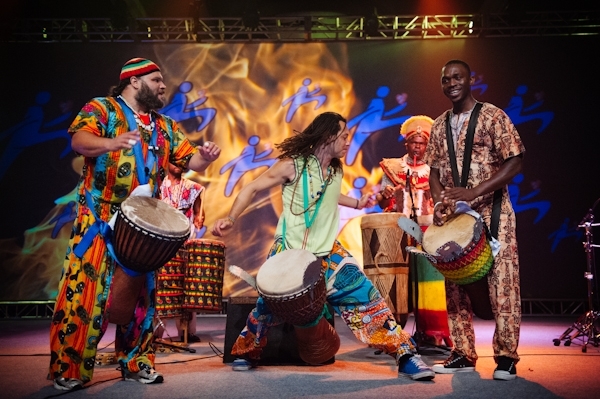 Chris was invited to play djembe at the World Rhythm Festival in Seattle with Pepe Danza and the Rhythm Fools. Chris also plays percussion for Pepe Danza’s, Latin Jazz Band, El Sur. Chris now heads up the Drum Cafe in Toronto. 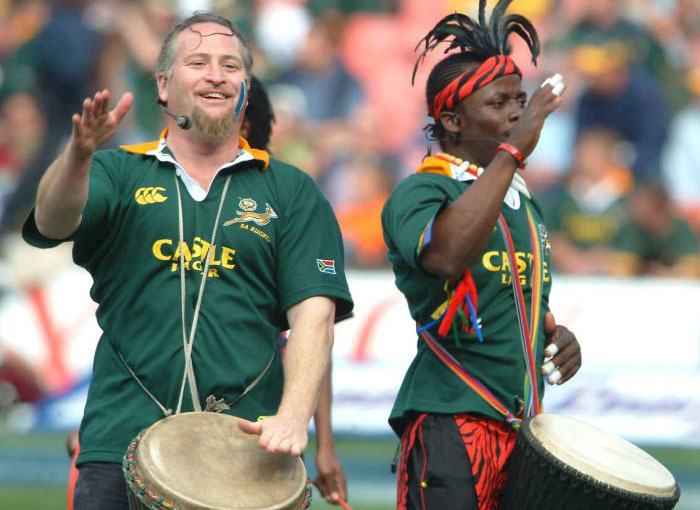 Munkie is regarded as one of South Africa’s top ethnic drummers as well as one of the best drum teachers in South Africa. As a master percussionist Munkie has toured Amsterdam, Germany, Austria, Italy and Canada.